Over-the-Knee Boots: Conservative or Bohemian? 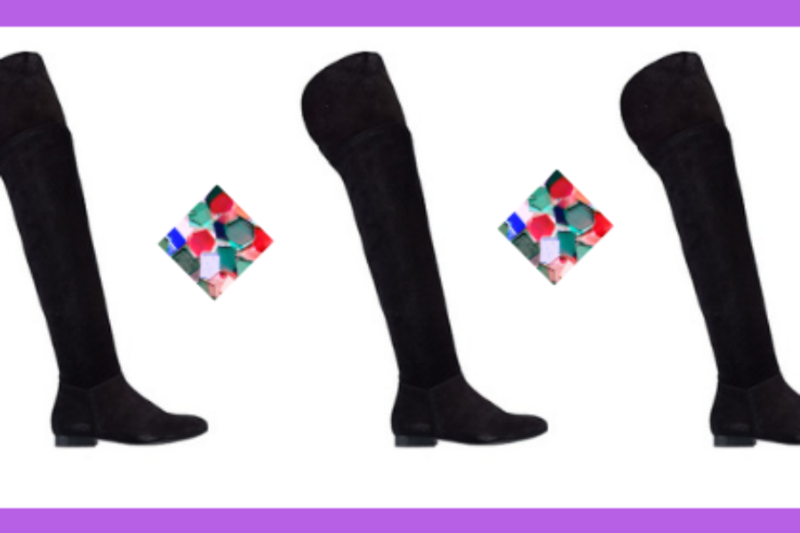 Wearing over-the-knee boots, also referred to as musketeer boots, requires confidence and swagger.The two schools of thought on these boots is whether to go for the strictly equestrian, conservative type, or the loose fitting, "slouchy" style, favored by the bohemian set. Generally, these boots go well with all kinds of skirts and dresses, as well as tights, in the traditional equestrian style, but not with jeans, in my opinion. At the most recent Mercedes Benz Fashion Week Madrid, the Francis Montesinos Spring-Summer 2016 runway show titled "A Flor de Piel"(translated as "High-Strung" or "On the Edge") featured two exciting and mutually enhancing collaborations. The veteran Spanish Western and motorcycle boots maker Sendra provided the stunning flower-embroidered boots that go equally well with bohemian knits and flowing flamenco-inspired silk robes, while Gene Simmons himself, the bass guitarist of the legendary rock band Kiss, added genuine hard rock elements to the collection by providing his likeness and his signature, as well as honoring the front row with his presence.